The Polycom VVX 400 series, including the VVX 400, VVX 401, VVX 410 and VVX411 Business Media Phones, delivers a host of midrange business media phones with crystal clear audio quality for today’s office workers and call attendants. The Polycom VVX 400 series brings high-quality, cost-effective solutions to front-line staff that need to handle a moderate volume of calls with UC features, including through third party solutions such as Microsoft Skype for Business and RingCentral Cloud PBX. The Polycom VVX Business Media phones are Skype for Business and Microsoft Cloud PBX interoperable (S4B Edition), meaning they seamlessly calendar with Microsoft and enable users to experience the extreme quality of Polycom audio, video and content, with the familiarity of Microsoft UC. The Polycom VVX 400 series has been qualified by RingCentral as a high performance desk VoIP phone for the office worker, to integrate seamlessly with your RingCentral Cloud PBX business service. 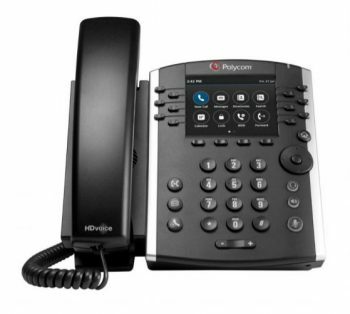 Utilising standard SIP protocol, the Polycom VVX 400 series VoIP phone offers a host of call processing features that rival your standard desk phone, including voicemail, call waiting, call forwarding etc. 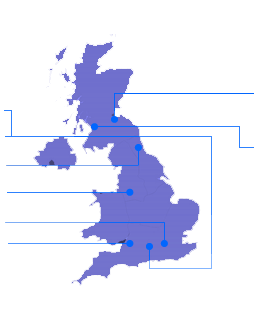 Get in touch with VideoCentric, accredited Polycom integrator, to discuss whether the Polycom VVX 400 series is right for your business, or to find out more about the range of VVX phones or other desktop VoIP phones available in the market today for Skype for Business, Office 365 Cloud PBX, RingCentral and other leading PBX integrations.